Salem • View topic - End it with a little fun? End it with a little fun? Last edited by Goodman12 on Tue May 15, 2018 12:46 am, edited 1 time in total. Re: End it with a little fun? share some fun Salem stories atleast? Really only 1 person showed up? no wonder biddas ditched us all when he was sposed to do the same. So i guess you had two days of full pvp, so much pvp that its stopping you of posting the hundreds of gbs of videos and pics of the fighting? RobertoKarlos wrote: So i guess you had two days of full pvp, so much pvp that its stopping you of posting the hundreds of gbs of videos and pics of the fighting? Na, just been busy with other stuff since I'm not playing games anymore. 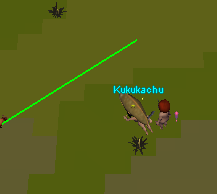 As expected, Kuku is the only one that accepted my 1v1. Had amazing fun with you over the past few years, I do think its the right call to finally cut yourself out of this depressing game. Take care and good-luck with everything else! As i got you known, you don't make many words if you don't want. Have a good time with all the stuff that keeps you busy! A last *bow* for you.